Advert Museum - J.H. Brown Ltd.
J.H. 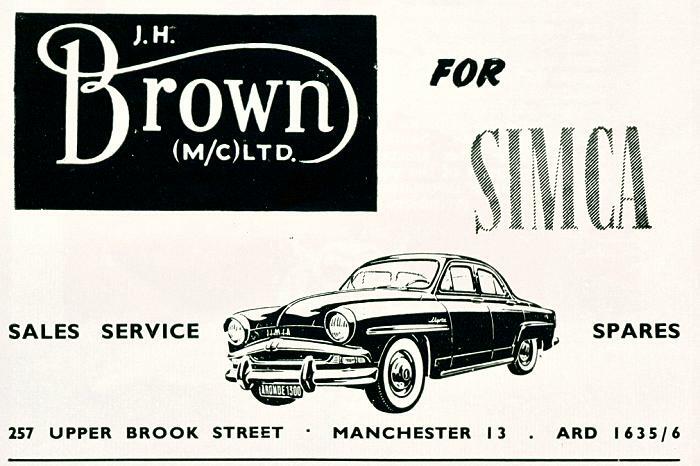 Brown Ltd. for Simca. Sales, Service, Spares. 257 Upper Brook Street, Manchester 13. J.H. Brown operated a recovery vehicle converted from a Rolls Royce which used to attend Oulton Park race meetings in the late 1950's and 1960's. Rolls Royce were furious about it and constantly tried to buy it from Browns. What did happen to it?